Day and night . . .
My spiritual life took a radical change about a year and a half ago. When we chose to put our children in the local school system, my discipleship of my children moved to a much more intentional level. It was easy, while homeschooling them, to trust their spiritual growth and religious training to the homeschooling Bible curriculum. Clearly, Bible is not a part of the curriculum of the public schools and so it was something that we would have to continue at home as a part of our education of our children. Furthermore, the increased exposure to the world in various ways required equipping them for the daily issues they would be facing. We could not afford for their spiritual well being to be neglected. I knew that they must have the Word of God in their hearts and minds all of the time. I was teaching through the book of Proverbs in our church at the time. The first 9 chapters are a personal exhortation to Solomon’s son for wisdom, especially the first 7 chapters in which the words “my son” are used 15 times. So, during the fall of 2012, I made a deal with my children, “if you memorize the first 7 chapters of Proverbs, I’ll buy you a new bicycle.” (At the time, I didn’t know enough about Scripture memory to realize what a difficult task that was – I’ll explain later.) Several of them got through the first couple of chapters, but it didn’t work the way I had hoped it would. As the next school year approached, I was again thinking of all of this when I was convicted of something that I already knew. The bishop is to be “one that ruleth well his own house.” This is not a dictator, but a leader – one who stands before, as an example. I was expecting my children to memorize Scripture, but was not intentionally doing it myself. So, I started memorizing with them. I would get the older 4 children up at about 5:45 each school day and we would make the short trip down to the church and spend about 30 to 40 minutes memorizing Scripture each morning before they went to school (this was not including our regular family Bible reading). Something amazing and sweeping happened . . . to me. The more I memorized, the more I wanted to memorize. The more I memorized, the more I realized it’s value. 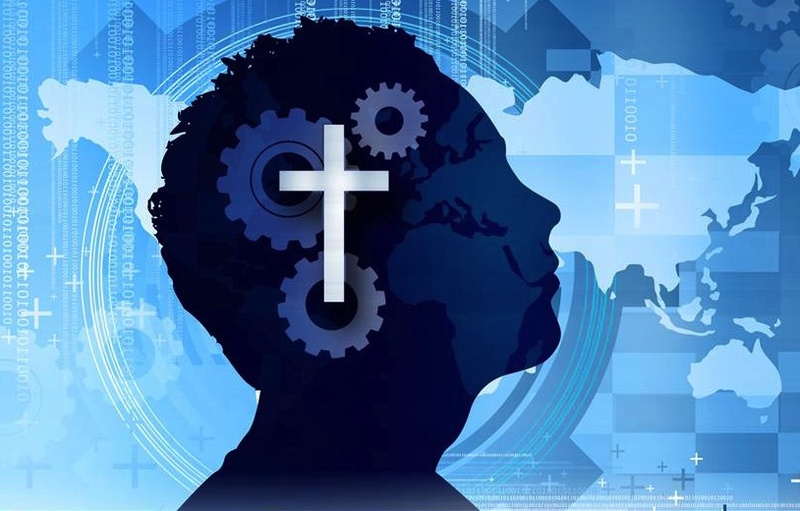 The more I memorized, the more I wondered how I had gone for years as a Christian and a pastor without consciously committing parts of the Scripture to memory. The more I memorized, the more I came to believe that it was an indispensable tool for my own spiritual growth. What else I realized is that all of the same things were true for other believers. The value of God’s Word in the heart is not just for pastors. It is an indispensable tool for spiritual life for every believer. I believe that the ingested Word is the tool by which the Holy Spirit guides believers. Many Christians have given the Holy Spirit very little to work with in their lives. I’m putting out a challenge to anyone who reads this to determine to start memorizing Scripture (I’ll give some pointers on how, shortly). Anyone who has memorized Scripture, realizes its value. You will never be sorry if you do, and I’m convinced that you will realize personal, measurable, spiritual growth. I’m going to write about three things regarding Scripture memory: the problems (perceived), the procedure, and the profit (yes, it’s an alliterated outline). 1. Time. I presume that many people would assume that they don’t have the time to commit to Scripture memory. Believe it or not, it would probably take about 4 months to memorize the book of Colossians if a person spent 35-45 minutes per day working on it. I’ll explain the method I use a little later. Would not that time be better spent than the hours spent on Downton Abbey or CSI or NFL or MLB – or even Fox News or Rush Limbaugh? The value that you place on something is recognized by what you are willing to commit to it. 2. Retention. I discovered that memorizing cohesive passages is far better than isolated verses. When I was in Bible college, I memorized individual verses for various class quizzes and tests, but struggled with reproducing them “word perfect” when the time came. However, as I memorize chapters and books, the cohesion and context flow like a narrative or theme. It is far easier to memorize a 25 verse chapter than it is to memorize 25 verses from various locations. If you struggle with retention, you may want to start working on passages instead of isolated verses. 3. Expectations. There is no need to think that you will ever be required to stand up and quote the book of Colossians or any other book. The purpose for most (non-preacher) Christians is for personal spiritual growth, not public performance. This is meat for your soul. If you work on a book for 4 months and are never able to quote it “word perfectly” to yourself, you have still filled your mind with a volume that declares the greatness of Christ! You have given the Holy Spirit a tool to remind you that you are alive in Christ! 4. Not every verse or passage is the same. I mentioned that I wanted my kids to memorize Proverbs 1-7. That sounds good until you start doing it. So many of the verses are very similar and the vocabulary is synonymous that it gets very confusing. The words “wisdom” and “knowledge” and “understanding” can easily be substituted making for a difficult time keeping words correct. I would probably suggest Psalm 19 as a good starting point, it flows well. I do not have a photographic memory. I don’t even think I have a good memory (I have trouble recalling all of my kid’s birthdays). The two keys to memorization (for me) are repetition and consistency. I’ve also found that the more of my senses that I use, the better I retain what I’m memorizing: I see it with my eyes and I work on my verses out loud and so I’m also hearing the verses (my wife writes verses that she is memorizing). I’m working on a couple of different methods that will work for various lifestyles, but it will take some time to experiment with them and evaluate them. In the mean time, I would suggest googling “Scripture Memory Methods” or something like that and you will probably see all different kinds of plans. One thing I would suggest is that you memorize passages and not isolated verses; I’m sure that you will be pleasantly surprised at how much easier and rewarding that makes the task. But, in short, here is what I do. I read/quote a verse twenty times a day for the first week (it often takes me the first several days of reading before I can actually quote the verse without looking at it); the second week, I drop it to 15 times (usually in this week, I have the verse pretty well in mind); the third week to 10 times; the fourth week to 5 times (by now it flows freely and quickly). In those 28 days, I have read or quoted that verse 350 times. I add a new verse each day, but as a verse becomes more ingrained in memory, it is quoted more quickly and it drops off the list after 28 days. It may seem like a lot, but you will reach your peak time after 28 days and however much time it takes you to do that much is about how much you can count on permanently, 35-45 minutes in my experience. I have a chart that I use to check off each verse for each day. This point could not be exhausted. 1. Spiritual intimacy. I was driving to a board meeting for a particular organization and was rehearsing Isaiah 53 in my mind. I was quoting to myself, “He shall see of the travail of His soul and shall be satisfied: by His knowledge shall My righteous servant justify many, for He shall bear their iniquities.” My heart was just overwhelmed by the design of God . . . I was glad that no one was riding with me in the car as I tearfully enjoyed the work of Christ. 2. Changed Conduct. My wife and my children are probably the ones who could speak of this effect. Colossians 3 has changed my parenting. “Fathers, provoke not your children to anger, lest they be discouraged.” I have no trouble being a Proverbs kind of Dad – if you know what I mean; discipline has never been hard for me (and according to Hebrews 12, probably not for most dads), but parenting with grace has not been easy for me. I didn’t do my flesh a favor when I memorized Colossians 3:21. Do you realize how hard it is for me to discipline my children when they haven’t lived up to my expectations while my Spirit convicted conscience is telling me, “you have provoked them and discouraged them!”? This is only one example of how it has changed my conduct. 3. Right thinking. Glen Jaspers said the “the Bible is God’s mind concerning everything.” Saturation with the mind of God dictates my philosophy of life. I filter all situations of life through the Word of God. Memorized Scripture is the only way that the mind of God is immediately accessible to me all of the time. Biblical thinking controls fear, delusional thinking and even discouragement. It has brought me balance; it is easy to get onto a hobby horse with an isolated text, but the volume of God’s Word is very balanced; when I’m inclined to go too far in a direction, other passages correct my equilibrium. 4. Evangelizing. I’m not a natural evangelist, but having Scripture in my mind all of the time does make a huge difference in my confidence level when talking to people. I often quote parts of Scripture verses to people to whom I’m speaking – they may recognize it and they may not, but they are still hearing the Word of God. 5. Systematic Theology. This past December on Sunday evenings, I shared “Meditations on the Incarnation” with our church people. As the Christmas season was approaching, I realized that all of the books that I had worked on during the year had at least several thoughts related to Christology. Philippians – “Who being in the form of God thought it not robbery to be equal with God. . .” Colossians – “for in Him dwelleth all the fulness of the Godhead bodily. . .” 1st Timothy – “Christ Jesus came into the world to save sinners . . .” Hebrews – “Who is the brightness of His glory and the express image of His person and upholding all things by the word of His power . . .” Revelation – “I am He that liveth and was dead, and behold, I am alive for evermore. . .” Systematic Theology is basically taking everything that is taught on one of the various doctrines throughout the Bible and putting it all together. The recall of verses greatly enhances your fluency on doctrinal matters. 6. Context and accurate interpretation. I’ve heard people talk about angels and quote from Hebrews regarding them, “are they not all ministering spirits, sent forth to minister for them who shall be heirs of salvation?” The general presumption is that Hebrews 1:14 is teaching that angels have been sent by God to minister to believers. This is true, but it is not the context. The context is proclaiming that Christ is BETTER than angels! Angels are the servants of God, but Christ – “let all the angels of God worship Him” and again of Christ, “Thy throne O God is for ever and ever!” Even more, “To which of the angels said He at any time, sit on My right hand until I make Thine enemies Thy footstool?” The context of Hebrews 1 is proclaiming the superiority of Christ to angels! This is just one of many examples. 7. Facts. This is probably appropriately placed at the bottom of the list, but it is important to me nonetheless. I’ve heard people say or have read commentators assert that “Luke was a Jew” (in deference to a misunderstanding of Romans 3:2) and that the “author of Hebrews was Paul.” I would have remained neutral in those arguments a couple of years ago. However, as I come to passages of Scripture that give clues to these things, I come to conclusions not opinions. For example, Hebrews 2:3 states that salvation “at the first began to be spoken by the Lord, and was confirmed unto us by them that heard Him.” The author of Hebrews was clearly saying that he had not heard Jesus speak; he acknowledged that the gospel which he had heard was confirmed by others who had heard Christ speak. Yet Paul in his epistles readily acknowledged that Christ had spoken to him. Therefore, the author of the Pauline epistles was not the author of Hebrews. Regarding Luke being a Jew, in Colossians 4:10-11, Paul spoke of 3 men, Aristarchus, Marcus, and Justus – he said of them, “who are of the circumcision [Jews], these only are my fellowworkers unto the kingdom of God. . .” But then in the next 3 verses he spoke of Ephaphras, who was a Colossian and then Luke the beloved physician. Luke and Ephaphras were excluded from the previous list, not because they weren’t fellowworkers, but because they weren’t Jews. Perhaps these are minute details, but as I meditate on the Word of God – even the salutations have profit. This list could continue . . . I’m sure if you have memorized Scripture you could add other ways in which it has profited you – you are welcome to leave comments so that others may benefit. The value and necessity of a diet of God’s Word is nothing new to a believer. Many people read through their Bible on some kind of a reading schedule; they hear it preached and taught in their local church, and they see its applications through devotionals and commentaries. However, I’ve seldom heard of Christians, or even pastors, committing more than a few isolated verses to memory; usually even this is for evangelism, or if they are struggling with a particular problem, or have found a verse that is of special value to them, or perhaps a proof text for a particular doctrine. Why is it infrequent to hear of a believer who has memorized chapters or books of the Bible? A. T. Pierson reported that George Mueller had large portions of the O.T. memorized in Hebrew! It’s clear that several of the N.T. authors and characters had portions of the Scripture memorized. I don’t envision Peter holding a scroll as he preached at Pentecost. Paul frequently quoted from the O.T. Much of Hebrews chapter 1 is comprised of O.T. quotations – perhaps the authors looked up verses as they wrote, but I think it is likely that the Holy Spirit was using Scripture already in mind as He inspired them. Previous generations did not have ubiquitous copies of the Scripture like we do . . . dare I say that easy accessibility has made us lazy in memorizing and therefore meditating? Incidentally, Hebrew was originally a spoken language. The law was mostly passed down verbally and audibly from generation to generation. This is why the instruction to Hebrew fathers in Deuteronomy 6:6-7 was so important! I want to see believers consuming the Word, so that they can meditate on it day and night: when they are shaving, when they are showering, when they are driving, when they are mowing, when they lay down at night, when . . . you name it, you know your life. In my opinion, meditation and memorization are married. I believe this combination is one of the best ways, if not the best way to maintain a Biblically calibrated mind and conduct, a clean conscience, an accurate theology, an unforced and relevant evangelism, a vibrant intimacy with Christ, and a demonstration of faith! I believe God’s Word to the point that I will commit time and energy into meditating on it day and night. I challenge you to give such weight to God’s Word that you will work to commit it into your heart and mind! I can guarantee that if you ever memorize the Scripture, you will not regret it – ever! Excellent! My church is memorizing Romans 3&4 this year. Fantastic article. Glad for your experience. Ron Hood has taught memorization for years– has books on his method. By college, I had memorized much. Afterwards, I realized how much of Scripture I knew, but was failing living out…ones like Eph 4:32. That time spent…I would encourage children, don’t just do the time, but Meditate! Keep it going through your mind and heart throughout the day on purpose. And live what you know. Thank you again for detailing your thoughts/methods/purposes/benefits of scripture memorization. You talk about memorizing passages instead of disconnected verses. I’m curious if you find it helpful to memorize passages as paragraphs, or do you still try to think of them as individual verses placed back-to-back? I memorize verse by verse simply for the “bite sized” pieces. However, I don’t really worry about the verse numbers when memorizing. Some who have written on memorization suggest memorizing verse numbers; I don’t as it seems to break to the flow for me. Before I begin memorizing a book, I lay it out by paragraph according to my Greek N.T.